Children of all ages will enjoy the timeless pleasures of clay crafts. Provide students with the tools needed for hours of creative fun. Natural coated finish to protect wood and to prevent sticking of clay. 6-3/4" long, tip to tip. 1-1/2" diameter. Set includes four clay rolling pins, each with a different design. Sold as 6 packs for a total of 24 rolling pins. 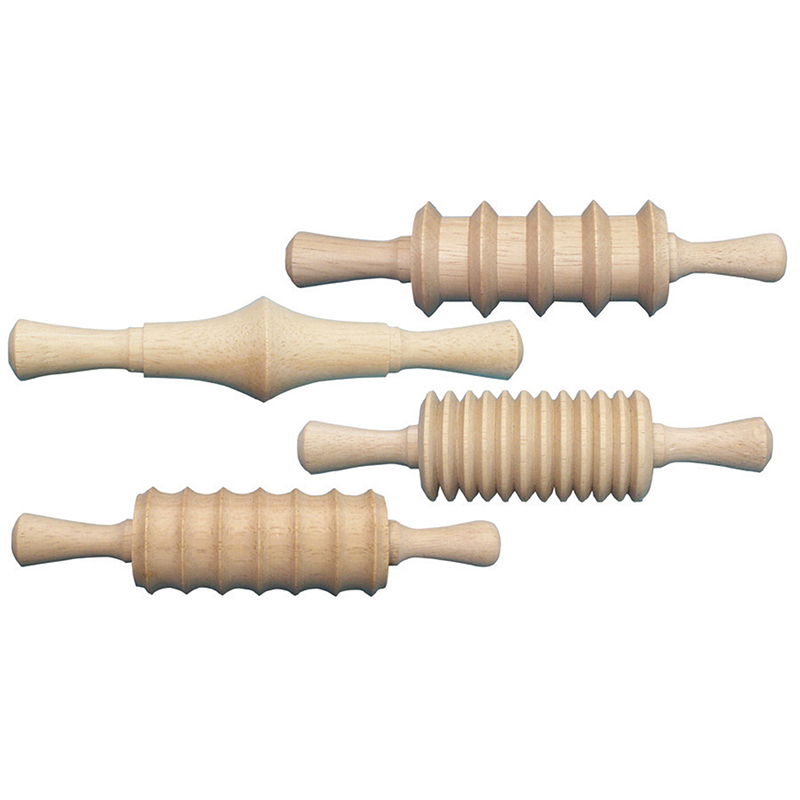 The (6 St) Clay Rolling Pins 4 Per Set can be found in our Clay & Clay Tools product category within the Arts & Crafts. 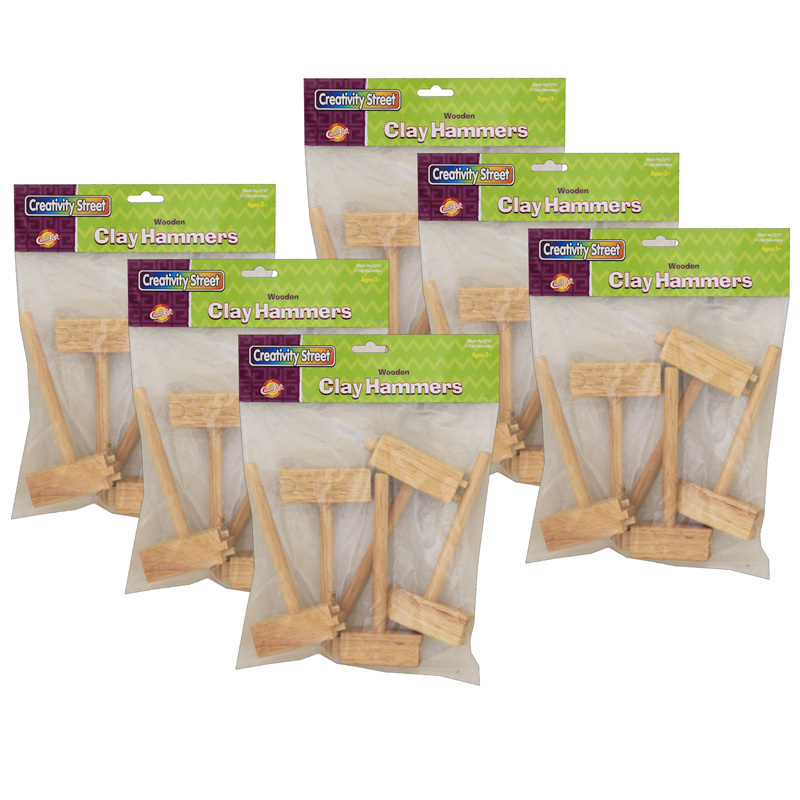 Each set of 5 wooden clay hammers each with 2 different designs, for a total of 10 designs. Measures 6.5" x 3". Bundle includes 6 sets for a total of 30 wooden hammers. 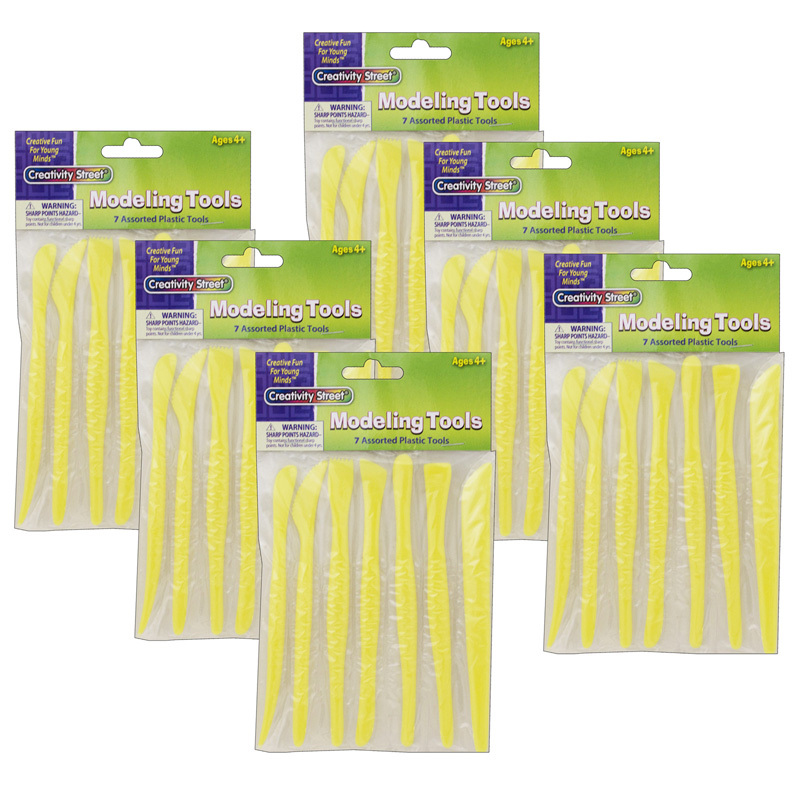 This set of plastic modeling tools with 7 different tips are great for use with dough or clay. Easy to use and clean. Each set includes 7 tools. Sold as 6 sets for a total of 42 tools.